The Cala Llonga Playa Apartments are perfect for you to enjoy the holidays with your family, thanks to their wonderful location on the Cala Llonga Beach, in the east coast of the island and only 12 km away from Ibiza town. 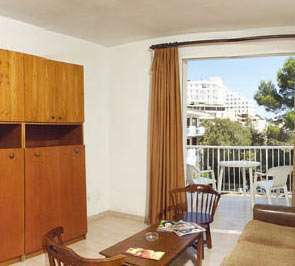 The complex has a total of 50 apartments, all completely equipped, which also include reception, pool, children"s pool, ample terraces for sunbathing and attractive gardens, a snack bar with Internet access service, free Wi-Fi and games room. We also have a Nursery, and right in front of our buildings there are two Fun Fairs (great for the kids who want to have fun!). 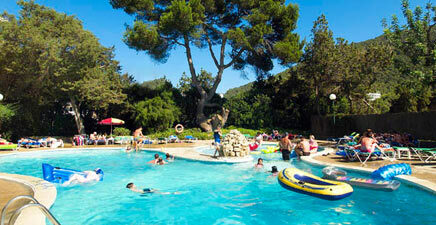 The best Golf Club of the island is only 3 kilometres away from the complex.